Amazing things happen to a community when its most resilient members–youth–are empowered to visibly take the lead in designing, building, and problem solving for its future. This Spring, the fine folks at Compostmodern did a great job of documenting the talk I gave about TinyWPA and the incredibly moving community design-build project that we did last summer with eleven teenage women and our awesome partners– Demoiselle 2 Femme (D2F) and Latent Design –on the South Side of Chicago. It’s worth noting that given the format and audience, I don’t really get to talk about T-awannda P., D2F, or Latent Design but simply put, they are amazing and we can’t wait to head back this summer and work with them again. 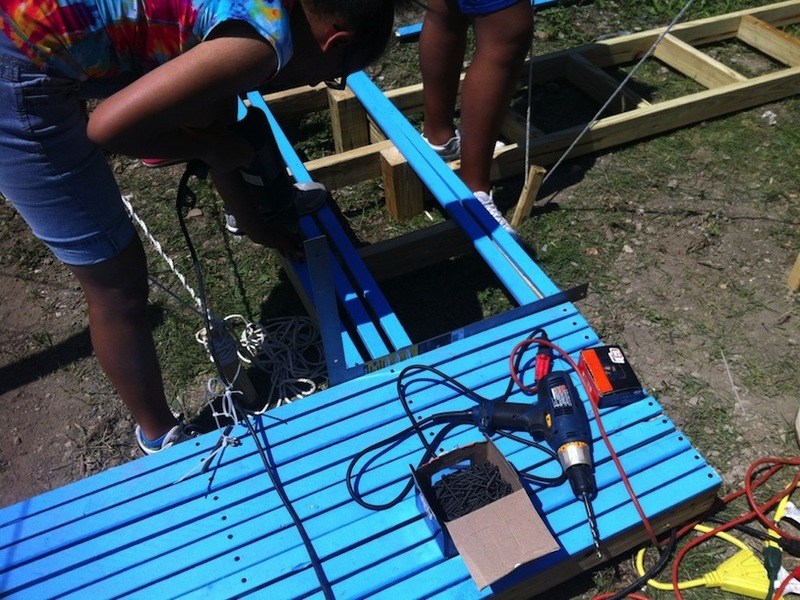 Teenage women with power tools ARE our most powerful tools for stimulating community engagement + civic innovation. Watch the video to find out ‘why’, to discover the reason that Jania is smiling, and learn about some of the fundamental tactics that we use in TinyWPA to empower youth, communities, and designers to do amazing things. Please share this video! Although the project featured in the story has won a number of awards, everyone should know about what these young ladies accomplished.